Above is a photo of a new "sky island" species of Vaejovis. This Arizona Scorpion pic was taken in Madera Canyon, Santa Rita Mountains, southern Arizona. Vaejovis grahami is related to Vaejovis vorhiesi Stahnke, 1940 and Vaejovis deboerae Ayrey, 2009 but is a distinct new species. Download the description here. I am very fortunate to have pics of rare scorpions like this one. My name is Rich Ayrey, please e-mail me at flagrich@azscorpion.com. This Flagstaff Arizona Scorpion site © Rich Ayrey 2013-2014. Please stop by and visit the Grand Canyon while you are here, you will love it. Arizona Scorpion World page created 03/08/14. 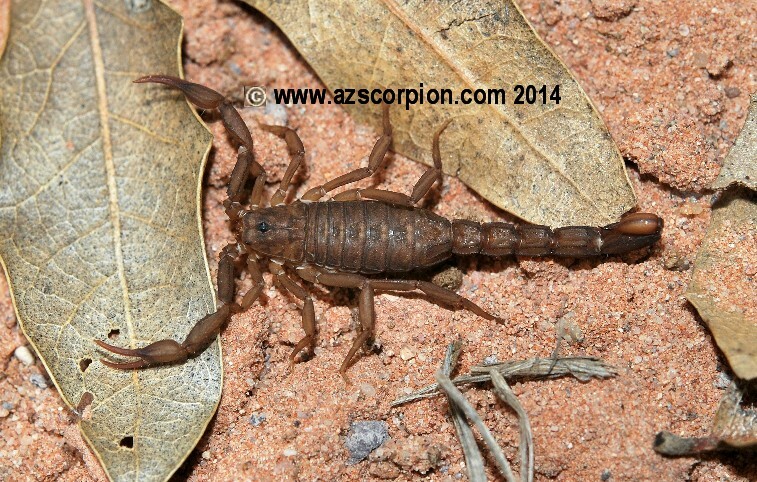 Arizona Scorpion World page last updated 03/31/14.